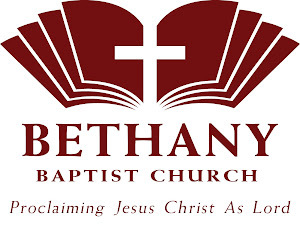 At Bethany Community Church, we decided early in the history of our church not to provide multiple worship services based upon style preference. We also decided the one "type" of service we offered would be blended. Blended is a vague term, but what we meant by it was that we weren't going to be defined by a particular type of worship service. I’ve re-visited that decision several times. Not because I want to change it or believe it was wrong but because I often need to be reminded why we made that decision. Recently, I read an article by Jonathan Aigner entitled, “11 Reasons to Stop Offering Different ‘WorshipStyles.’” We’re not on the same page theologically, but I agreed with much of the article. Even though I largely agreed with Jonathan on the dangers of offering different worship styles, I wondered how someone who didn't agree with him might offer some push back. Many of his reasons are guesses about what might happen when churches offer a variety of styles of worship. He could be wrong. For example, does the use of various styles necessitate that there be a division between different age groups? No. I believe it likely to happen. I don’t believe it will foster greater unity in a church. But I can’t say with biblical certainty that it will lead to disunity. First, variety in worship is a biblical value. If we were to argue multiple styles of worship were wrong because of the style of music contained within the service, we would be guilty of failing to appreciate the diversity of worship described in Scripture. I can't say, "Your worship style is wrong because it's too traditional." Paul’s calls for the believers at Ephesus to address one another “in psalms and hymns and spiritual songs, singing and making melody to the Lord with your heart” (5:19). The picture here is one of unity and variety in worship that is Christ-centered and beneficial to others. Variety of worship is good and this is a truth that cuts both ways. Unlike some opponents of multiple worship services, I can’t argue that multiple-services are wrong because they are diverse. In fact, the problem may be that they aren’t diverse enough. Within a given service if only one type of worship is offered (the “contemporary” service or the “traditional” service), have we fulfilled the biblical picture of diversity of worship? Second, the unity provided through the message of the gospel can overcome any issue that naturally divides us, including musical preferences. Again in Ephesians, Paul writes, “For he himself is our peace, who has made us both one and has broken down in his flesh the dividing wall of hostility…that he might create in himself one new man in place of the two, so making peace, and might reconcile us both to God in one body through the cross, thereby killing the hostility” (2:14-16). If our argument to promote a contemporary or traditional worship service centers on the “impossibility” or even the "difficulty" of reconciling brothers and sisters in Christ to a common form of worship, we possess an idolatrous notion of what worship is. Worship shouldn’t undercut the unifying power of the gospel but instead magnify and proclaim it. Third, corporate worship in eternity will be unified as the focus of our worship is Christ. The heavenly picture John provides us should motivate us. “After this,” he writes, “I looked, and behold, a great multitude that no one could number, from every nation, from all tribes and peoples and languages, standing before the throne and before the Lamb, clothed in white robes, with palm branches in their hands, and crying out with a loud voice, ‘Salvation belongs to our God who sits on the throne, and to the Lamb!’” (Rev. 7:9-10). The “voice” that John refers to in verse 10 is singular. The focus of the worship on God brings unity out of diversity. The very unity that is created out of a plethora of people groups worshiping as one is a proclamation of the glory of God. Fourth, worship now prepares us for future worship. The time for unity in worship is not just some far off date in eternity. We prepare ourselves today for future glory. What we decide to do in worship this Sunday has eternal consequences. Whatever you decide to do in worship, I hope you share these convictions. I’m not what most would call an “emotional” worshiper. I don't contribute to the musical excellence of our church’s worship. But this past Sunday, as we sang corporately my eyes watered up as we sang a song about the unsurpassed excellence of our Lord Jesus Christ. I'm grateful for a worship team who calls a (moderately) diverse group of worshipers to unity at the cross. May that be the joyful focus of your worship as well.